Major disruption is expected when a busy Taunton road is closed to inbound traffic for up to two weeks. Wessex Water will be carrying out work to install a new pressure relief system and flowmeter on their existing supply network on the A38 Wellington New Road. The finished work will enable them to better manage the local network and identify leaks in the future. From this Friday (15th Feb) the inward bound lane of Wellington New Road will be closed just after the roundabout and traffic will be diverted via Silk Mills and Staplegrove road on a signposted diversion route. Outbound traffic will be unaffected. 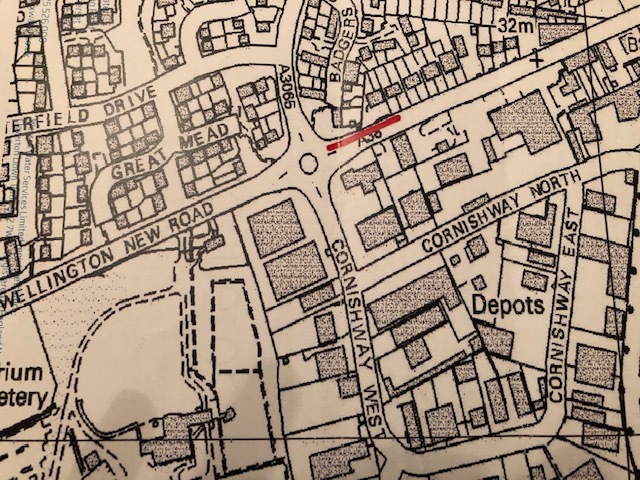 The above map of the works was posted to local residents and businesses together with a warning that it is likely that there will be an increase in traffic through the Galmington Trading Estate during the works.